Note: This article contains information that is valuable to any computer user, using any hardware. That includes Apple. Read the end. I really missed the multi-touch features I had on my Asus 1000HD. It has a different manufacturer, an Elantech vs the Synaptics in my Lenovo S10. Of note to all computer users: This is one of those things that is good to know for any piece of hardware. Often what is available on the component manufacturer's website is better than that available on your computer manufacturer's website. *ESPECIALLY* on older hardware. Ive done this a number of times. Intel for example seems to crank out later drivers all the time that don't show in Windows update or the manufacturer's download area. Let's face it, if you just got a 2 year old refurb, how much do you think the original manufacturer cares? But the if the graphics chip/trackpad/gadget maker is still selling or supporting the chip they sold by the millions to many different manufacturers, you may find better drivers and support there. After all, they are closer to the hardware than the laptop/PC maker who cobbled it all together anyway. Second pet peeve: chip makers who won't offer drivers but tell you to get it from the manufacturer that used the chip. You made the darned thing, shouldn't you have the best driver for it? Good luck. And this is part of the reason Apple sells so well: they make it all, and you know where to get the latest updates. Now if they just made a netbook. This is my result WITHOUT my G5 WiFi antenna plugged in. The little plastic 'T' that plugs in the back. My G5 is only 3 feet from my router. Good results, even though the server is just across town. I got a 'B' on the server in Dallas. This is it with the antenna plugged in. Yes, the grading scale doesn't go to 'Z' I think. I'm pretty sure 'F' is bad. I pulled the antenna, and did an immediate test. Hmm. I'll put it back. Wow. Pulled, just to make sure. Ok, so I get a 'B' for 3ms of jitter now. I can live with it. The only thing I can think of is that the antenna is damaged internally. Externally, some of the shielding is torn away. That little amount of damage doesn't seem like it would cause an unusable connection. I've seen two G5 antennas like this. Out of the two I owned. I did not damage them myself, it was a previous owner. 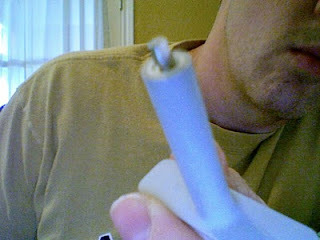 So, if you are having trouble with your T Wifi antenna on your Mac G5, try removing it and please comment below! I need to add this to the wiki later here. Why am I doing this? You can't buy these anymore, and they make nice upgrades for older Macs. And I hate to toss them. Cards looks a lot like this but longer heatsink and more ram chips. I bet it would work with variations. After nvflash writes the new ROM and compares it, it will complain (and I think this is verbatim, it says about the same thing on an MX420 and an Ultra 6800 Overclocked) "Error: Mismatch at Offset: 2 - Expected Value:05 Read Back:40". (You did backup your original ROM right?) I think this is because we are writing a Mac ROM and something isn't quite kosher to it. Don't worry about this error. It should be fine if the ROM will work. Notes: Have a lot of airflow or add a fan. G4's with the fan blowing right on the AGP slot would probably be ok. In my G5 dual 2.7, it seemed pretty hot, but that slot is kinda far from a fan. Played a DVD image, an MP4 and Hulu at the same time. Hulu had some small glitches, but the other videos were smooth. Shows as an FX5200 in in 'More Info' on the Mac. World of Warcraft gave high teens to mid 30's around the auction house with details turned all the way down. RAM is listed as 133mhz, 266 effective. ROM notes from that wiki show a 200mhz speed. I don't know if that's the real clock rate or effective clock rate. Card: BFG 6800 Ultra Overclocked (AGP). I had artifacting at GPU speed of 425Mhz in World of Warcraft. This is the card's speed from BFG. Using the 2130 ROM from Macelite's wiki and Graphiccelerator is how I set the speed up in the stock 2130 ROM. I went back to the 2130 OEM ROM with a 400 (stock speed for the Apple and most other cards) and it was fine. This is what I recommend. I'd like to hear different if anyone tries it. 6.25% either way is not that much. After nvflash writes the new ROM and compares it, it will complain (and I think this is verbatim, it says about the same thing on an MX420) "Error: Mismatch at Offset: 2 - Expected Value:05 Read Back:40". You need to flash this with the ROM "DVI Enabled (Arti)" at http://themacelite.wikidot.com/wikidownloads2. After you download that ROM, use Graphiccelerator to set the speeds to 400/550 which are the stock speeds for an Apple OEM 6800 Ultra. THEN flash it. Card: ATI X800 XT. This is the ATI card with the red PCB and yellow connector below the power connector. You can get the 109 version ROM from the above site. I used Graphiccelerator (hereinafter referred to as GC) to load the ROM into the ATI Multi flasher and flash it under OS X 10.5.8. Yes, you have to use GC. I tried the PC atiflash tool on a PC, no dice. Also, you should safe boot your Mac by holding Shift during the boot. And then follow the directions. You will also need the drivers here as they are not included under OS X 10.5.8. They will manage the fan speed on the card and enable you to change resolutions. Of course, they do work under 10.5.8. 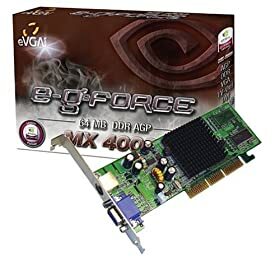 This card is noticeably faster than a 6800 Ultra. If this helped you flash a card, consider a donation (look on the right side on my blog for the Paypal button). I just saved you a ton of cash if you were planning to buy the OEM Mac version.